Quin Kincaid is about to take the final test to become a Seeker, a mysterious time traveler, and is excited and ready after years of hard training. Her secret boyfriend John is less excited since he knows what Seekers actually do and it is much less noble than Quin and her "cousin" Shinobu have grown up believing. Quin's father is their harsh teacher who has no love for anybody. When John falters during a particularly hard training session, he is kicked out by Quin's father. Unable to take the test and fulfill his family duty of becoming Seeker, he leaves Quin and Shinobu--who have taken their "test" and changed their lives forever. Before John leaves he tries to take back what Quin's father stole from his family and sets off a dangerous series of events. There is so much in this book it's hard to summarize. The chapters are told in alternating viewpoints-- Quin and John and then later on Shinobu. There are also chapters telling the story of Maud--a girl who is much older and mystical than she appears. Quin is both strong and vulnerable, John is both honorable and devious, Shinobu is weak and trustworthy. None of them are perfect characters, they are all flawed in some way. I liked Quin and I enjoyed the story of the Seekers, but I was really drawn to Maud and her story as well. There were some parts that could have been condensed and others that kept me from putting down the story. 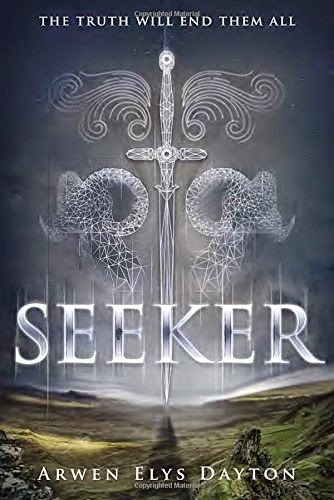 Seeker is an interesting fantasy that has stuck with me in the weeks since I've read it. I'm looking forward to the next one in the series. High school senior Lyla McAfee has her whole senior trip to Florida planned out perfectly. She plans on losing her virginity to her boyfriend of two years (a plan mentioned four times in the first two pages), but first she needs to get there. She misses the school sponsored bus to the airport, so Lyla hops on the back of a motorcycle belonging to a classmate she barely knows so she can make it to the airport on time. She would not normally do that, but as a freshman she had scheduled an email to repeatedly be sent to herself as a senior (over the course of one day) saying, "Before graduation, I will… learn to trust." Lyla manages to get on the plane but the weekend does not go quite as she planned it. Her boyfriend is annoyed that she rode with another guy, she's rooming with ex-friends she has not spoken to in years, and the motorcycle guy keeps popping up in her life. Lyla is not a particularly likable character. She is unforgiving; a trait that causes her to lie and try to cover up her own actions. She is concerned with trusting other people, but she is not very trustworthy herself. 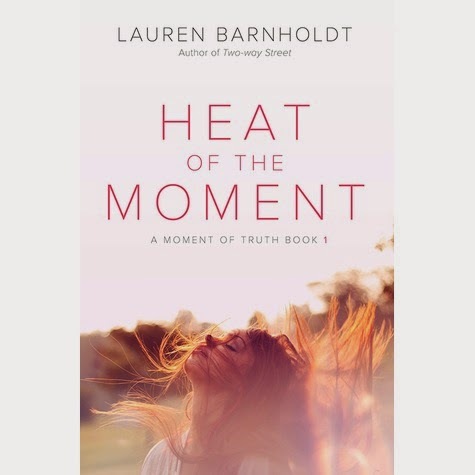 She does come to realize her mistakes by the end of the story and there is hope that she will mature in the next two books in this planned trilogy. This is a good addition to large teen collections with insatiable romance readers.